A replacement for lost or broken combination reset keys to suit the ABUS 190 and 180 series padlocks. 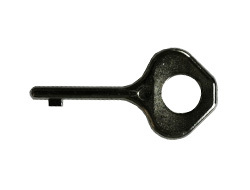 Occasionally the key can be snapped when not inserted correctly into the lock. Order a replacement here.